Today was Ben Hamer’s chance to show to us, but more importantly Chris Powell, exactly why he wears the no.1 on the back of his shirt. He was deservedly dropped after some terrible performances in February, yet he proved today that he is still the most talented goalkeeper in our squad. He would have been disappointed to have been beaten at his near post for Bolton’s second goal, yet his confidence was not affected. In the final minutes Hamer showed off a new level of steel and strength when dealing with Bolton’s crosses and shots, suggesting that his time away has done him good. During our decimation of League 1, one of our best assets was Wiggins’ brilliant link-up play with Johnnie Jackson on the left-wing. Until today, Wiggins has struggled to formulate the same understanding with Harriott, so it was encouraging to see the two combining so well in dangerous areas against Bolton. Our best chance in the opening exchanges (Pritchard’s saved shot) came from a threatening Wiggins cross after a good one-two with Harriott. An embarrassment for twenty minutes, a credit to the shirt for the remaining seventy seven. For Bolton’s first goal Dervite conspired to make Marvin Sordell look like a striker who hadn’t managed just two previous league goals, such was the ease with which he allowed the striker to turn and get a shot away. What a pity, as once he grew into the game he was imperious. Winning everything in the air, keeping a cool head whenever we were under pressure and, of course, stroking home a vital equaliser with an air cool composure even Kermorgant would be proud of. Alongside Dervite, Morrison dealt easily with N’Gog, Sordell and Davies in the air. Less commanding however, was his play with the ball on his feet. One shocking moment in the second half particularly stands out when he was caught on the ball by N’Gog, despite having about ten minutes to get rid of it. On the day in which FourFourTwo announced their top 50 Football League players without a mention of Solly, the diminutive full-back proved (as if he needed to) just what an absurd omission it was. When writing this, I actually had to look up to see who Bolton’s left midfielder was (Darren Pratley), since Solly had played him out of the game so comprehensively. He was brilliant going forward too, whipping in a great cross for Kermorgant in stoppage time, after Bolton’s attempt to stop him with a choke-slam had failed. Harriott’s pace, trickery and, most importantly, his desire to take on a player and get a shot away have already become vital to Charlton, despite the fact he’s only made four starts. He may not quite have made the same impact today as in previous games, but both Sam Ricketts and Danny Butterfield were continually troubled by Harriott who ran at them fearlessly all game. It’s hard to imagine how we ever got by without him. No other midfielder in our squad can offer the same effective attacking drive. 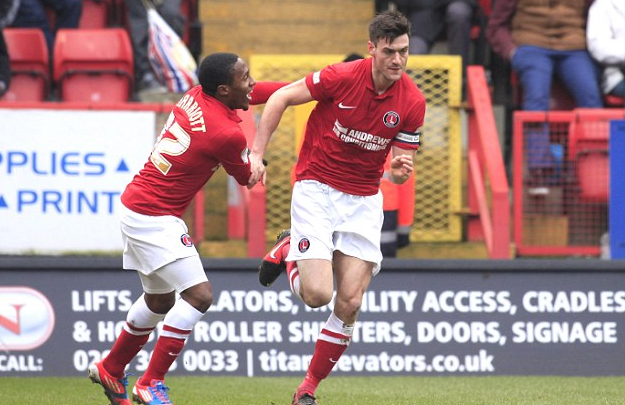 In the four games prior to Harriot’s introduction to the starting XI Charlton picked up three points from a possible 12. In the four games since we’ve gained seven. Just when you begin to get restless, just when you begin to think that maybe Jackson just doesn’t have the pace for Championship football, he puts in a stunning captain’s performance that makes you feel like the world’s biggest berk for ever questioning the great man. We all know how essential he is for picking up the team and getting us back into the game. It should be universally established now that he is one of our greatest ever captains. But we should not forget that he’s also a great footballer. Not one astray pass left Jackson’s boot today, and despite his lack of speed, Bolton’s midfield was so often chasing his shadow, so intelligent were his runs and awareness of space. Many Addicks have felt that Andy Hughes could offer some added experience and solidity to Charlton’s midfield, yet not many could have predicted that the 35 year-old midfielder could have made such an impact on his first start for the season. It’s tempting to think that without such an assured head in midfield, we could have gone in far further behind than we did. Like Jackson, there were no hollywood balls or barnstorming runs, but instead lots of intelligent movement, simple passing and hard work. The talented but frustrating Dale Stephens would have done well to watch. Pritchard is always more effective in the middle of midfield rather than on the right, yet his consistently committed no matter where he is deployed. He had one shot well saved in the first half, and another blocked in the second, yet he largely struggled to influence affairs today. Fuller has always trod the line between potential match-winner or ineffective and uninterested. Against Bolton, it was overwhelmingly the former. Without Fuller getting in behind the Bolton defence and leaving Ricketts, and then Pratley, with no option but to send him tumbling to the turf, Charlton would not have had the two pivotal opportunities that turned the game around. Fuller and Kermorgant were brilliant together when they were last partnered (home vs Birmingham, February 9th), hopefully this time around they are not kept apart for so long. Absolute dominance in the air? Check. Beautiful free-kick? Check. Dedication to the cause? Check. Memorable penalty? Check. Today was the defining Kermorgant performance. He was unlucky not to have a hat-trick after striking the post with his free-kick and then forcing Lonergan into a flying save late-on. He just pips Jackson to the MOTM award after a brilliant cameo as a Pirlo-esque deep-lying midfielder, spreading the ball and playing us out of trouble in the final minutes. Came on for Andy Hughes with 20 minutes to go just as the veteran was beginning to tire. It was the perfect substitution as Gower injected another level of zip to our midfield. Also an experienced head, Gower’s presence helped us avoid conceding possession in panic as the clocked ticked away – a problem that has been all too prevalent this season. Only on for a few minutes, Haynes looked more than happy to do his part for the team in holding the ball up as we tried to cling on. Could still do with a haircut. This entry was posted in Player Ratings and tagged Bolton Wanderers, Charlton Athletic, Player Ratings, Yann Kermorgant. Bookmark the permalink. Would slightly mark down Harriot as he needs to work on his decision making. But a great performance by all concerned.